Essential oil blend for bruises. A powerful blend of anti-inflammative, skin regenerative essential oils. 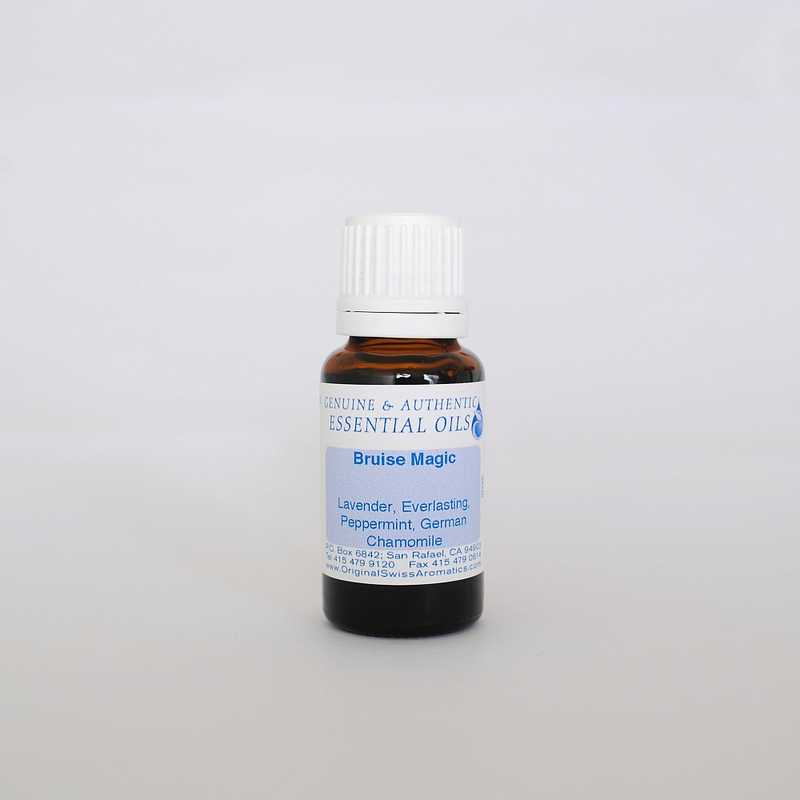 This blend including 40% Everlasting, Lavender, German Chamomile, and Peppermint applied immediately to a closed skin injury can stop the pain, swelling and bruising. Apply to closed wounds only. Ingredients: Lavender, Everlasting, Peppermint, and German Chamomile.